Texas Mutual Insurance Company is well and truly clamping down on insurance fraud. In 2017, the insurer’s internal fraud department identified more than $6 million in workers’ compensation fraud and made a number of convictions. The fraud busters have remained hard at work through the first half of 2018, publicly announcing multiple sentencings. But why is Texas’s largest workers’ compensation insurer so open about getting scammed? “We really believe that the more we can talk about our anti-fraud efforts, the more likely it will serve as a deterrent for people who might be thinking about committing fraud. We’re proud to be open and honest about our commitment to stopping workers’ compensation fraud,” said Jeremiah Bentley, vice president of marketing and customer engagement at Texas Mutual. 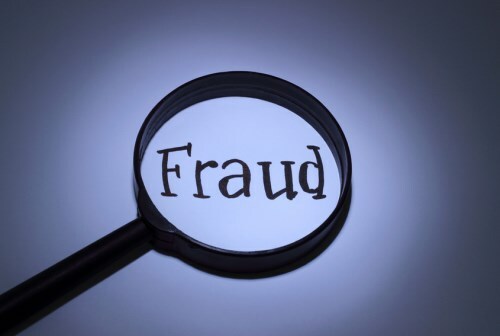 Texas Mutual has three specific fraud investigation teams, looking primarily at claimant fraud, healthcare fraud and premium fraud. Claimant fraud is by far the most frequent type of fraud in terms of number of incidents, but healthcare and premium fraud tend to pack a harder financial punch. Over time, the insurer’s fraud teams have become more specialized, and with the help of technology, are identifying more and more incidents every year. Claimant fraud involves more traditional surveillance work, searching for red flags that indicate an individual is trying to cheat the system. An example might involve an employee who says they’re too injured to work but then posts pictures of themselves on Facebook riding the rodeo at the local show. In this case, social media is the fraudster’s worst enemy and the insurer’s best friend. “The claimant fraud unit has a real opportunity to do universal surveillance and virtual research from their desks and their computers. As we develop more sophisticated analysis tools and software, I think we will be able to more accurately pin-point actions that seem outside of normal practice and then take an extra look at them,” Bentley told Insurance Business. Brokers and agents can also help in the fight against workers’ compensation fraud, according to Bentley. They can keep an eye out for red flags, and educate clients about the real impacts of workers’ compensation fraud. Perhaps they can also take a leaf out of Texas Mutual’s book in being transparent and open about the issue.